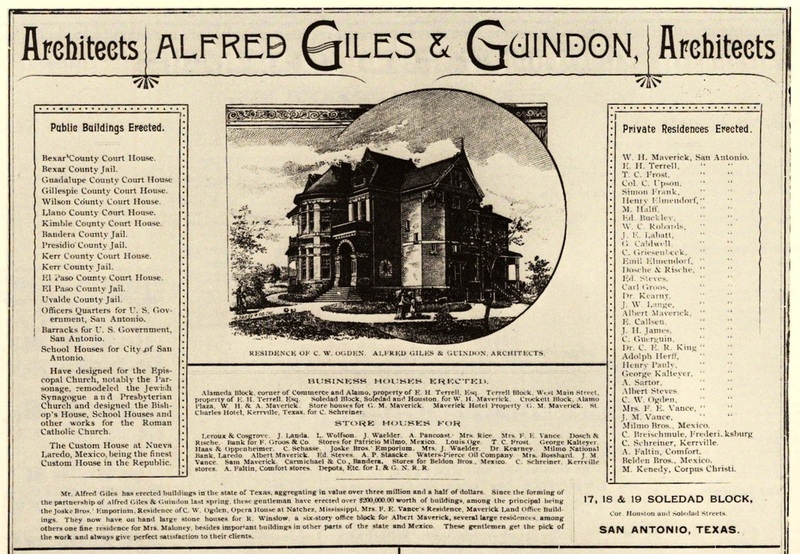 "In 1873 Giles immigrated to the United States and, for health reasons, settled in Texas. 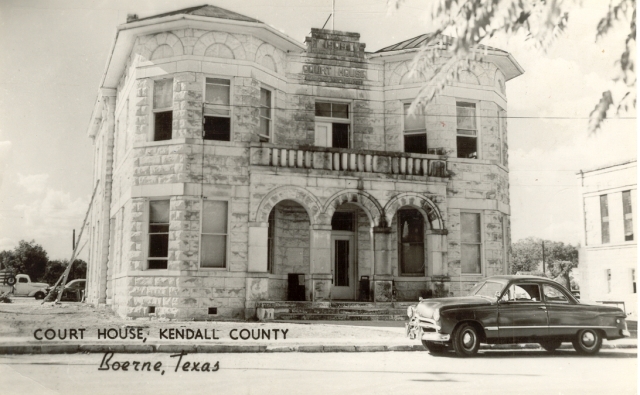 He worked for three years in the office of John H. Kampmann, a successful San Antonio contractor, from whom he acquired skill in the use of locally available building materials, especially stone. 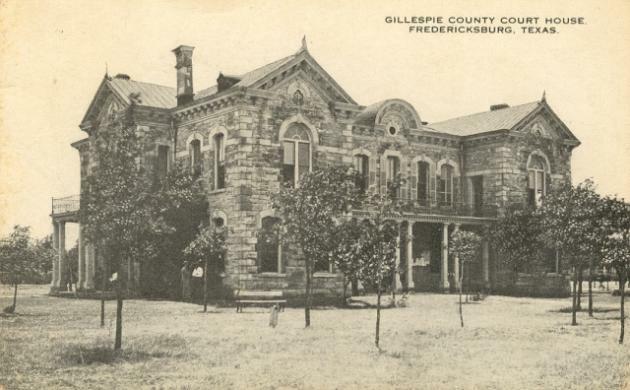 "When Giles established his own firm in 1876, the dreary period of Reconstruction was coming to an end. Ranchers and farmers grew prosperous, and San Antonio became a focal point of commerce and amusement for a vast area. "Indeed, the Victorian period (ca. 1840-ca. 1900) was characterized by rapid changes of style, and Giles's work reflected a great variety of styles derived from architectural forms of the past, usually in more or less new combinations. Giles's own means of expression, however, always took precedence over novelty of fashion. 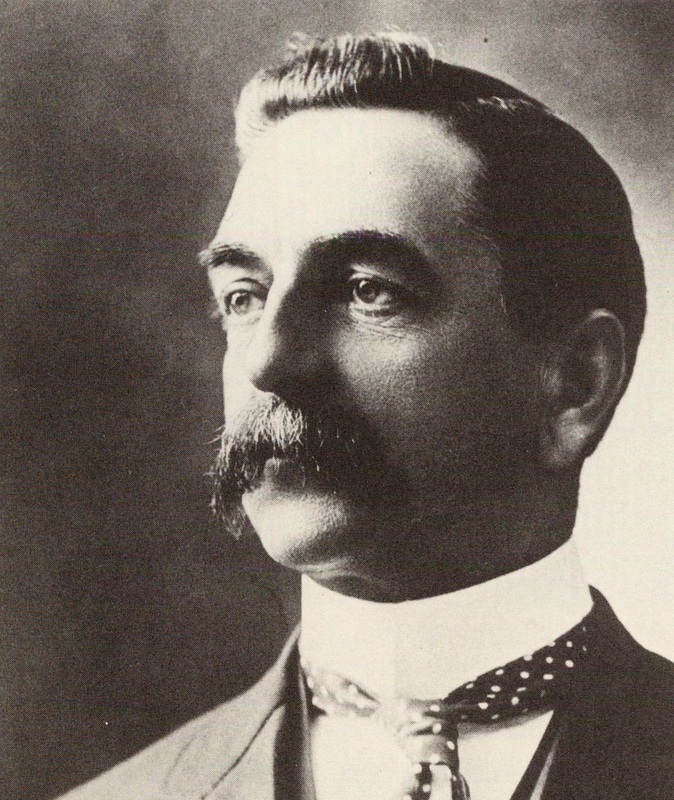 "Giles died at Hillingdon Ranch on August 13, 1920. He is buried beside his wife in City Cemetery Number 1 in San Antonio." 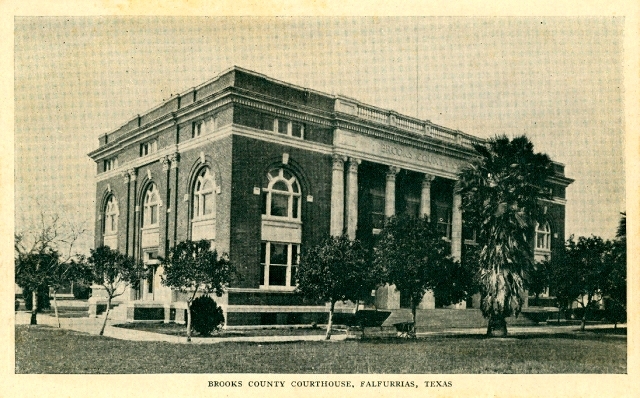 Alfred Giles designed a number of Texas courthouses. The exact number is problematic because of questions regarding attribution of some courthouses. 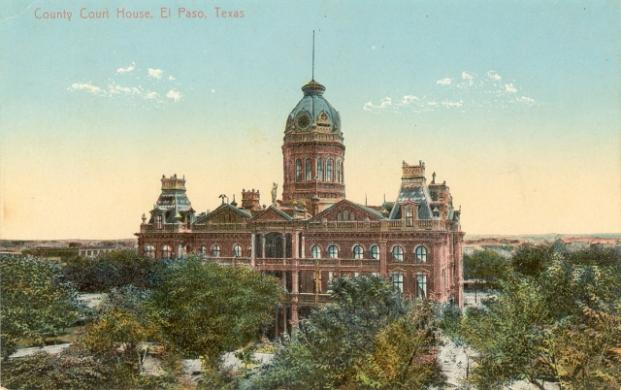 It is certain Giles designed courthouses for Bexar (I don't have an image of this building), Brooks, El Paso, Gillespie, Guadalupe, Kendall, Kerr, Kimble, Live Oak, Webb and Wilson counties. 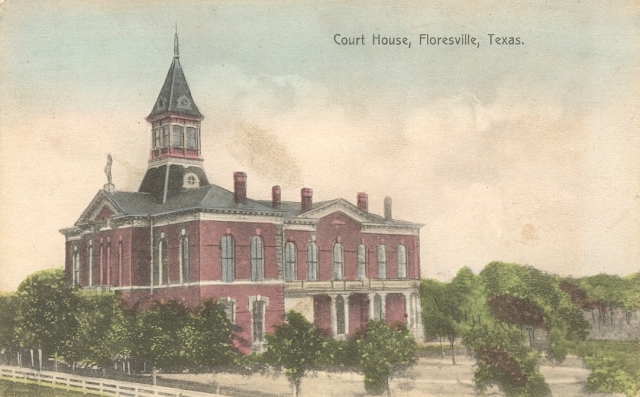 Of these eleven court-houses, seven are still standing. 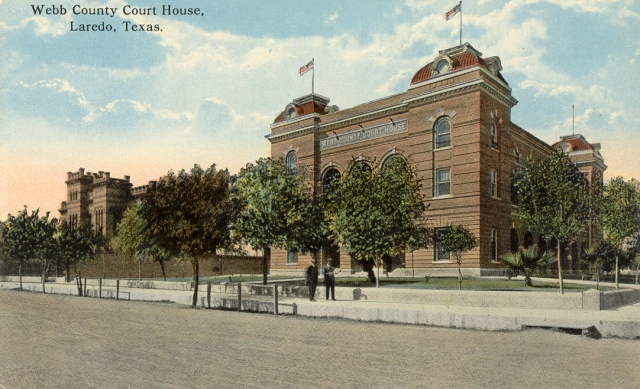 The Bexar County courthouse was a significant alteration of an existing building, including a new façade. It was demolished in the late 19th century. 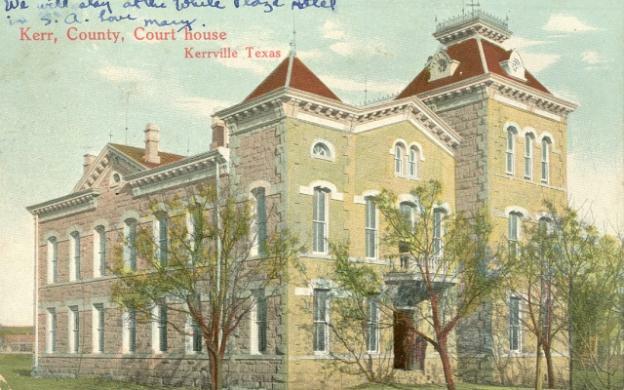 The Guadalupe, Kerr and Kimble courthouses were complete buildings. 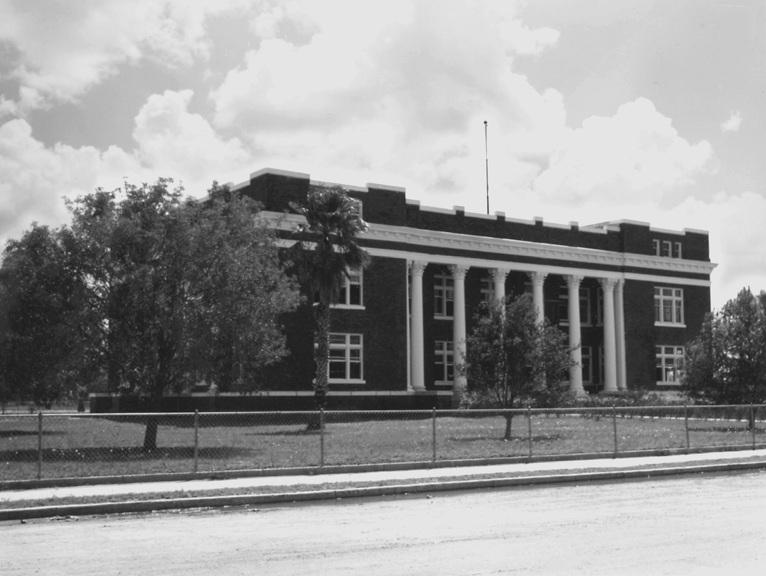 Each of the three was demolished long ago. 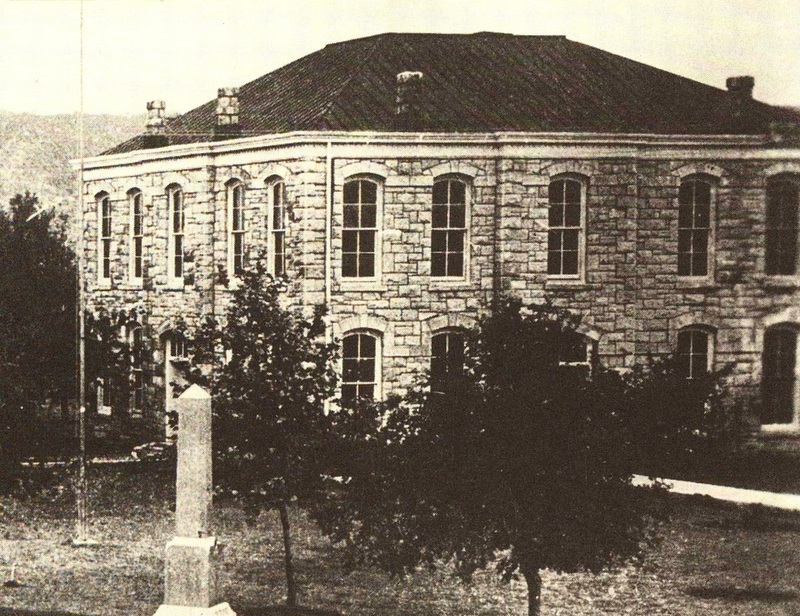 In 1883, Alfred Giles was hired by Dimmitt County to design a courthouse in the new county seat of Carrizo Springs. For some reason, the county then changed its mind and hired another San Antonio firm, J.C. Breeding & Sons to design the building. 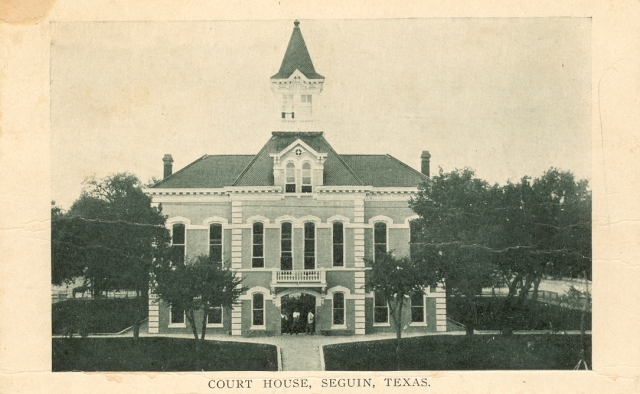 There is a suggestion that Breeding used the design prepared by Giles for the courthouse.